D.C. United and District Sports have teamed up this winter for another unique soccer event. This time it’s Competitive 5-a-side at SoFive in Rockville, MD. All event proceeds to benefit the youth players at D.C. SCORES. Date/Time: Saturday, February 23rd. 5:30PM to 10:30PM. Location: SoFive Soccer Center. Rockville, MD. Format: 5v5 (4-plus keeper) Men’s Competitive (women are welcome). $395 per team. Up to 24 teams in the tournament. All proceeds to benefit local youth soccer non-profit DC SCORES. Tournament has been developed for the competitive player. Minimum of 3 games (but, likely, more). Game quantity dependent on final registration numbers. Each team to receive 10 tickets to the March 16th D.C. United match at Audi Field. Event t-shirt for all participants AND beers on us post-game at the SoFive bar. 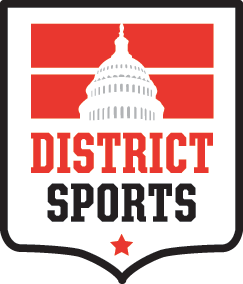 Winning team gets free entry into our next event in the Unite the District Tournament Series presented by District Sports! Register Now for this special evening on the pitch!